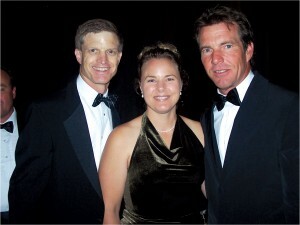 Ron and Jennifer Kaplan with Dennis Quaid, master of ceremonies for the 2004 National Aviation Hall of Fame Enshrinement Ceremony. “I can’t remember a time when I wasn’t drawing airplanes,” said Ron Kaplan, the 46-year-old interim director of the National Aviation Hall of Fame. That sometimes got him in trouble. 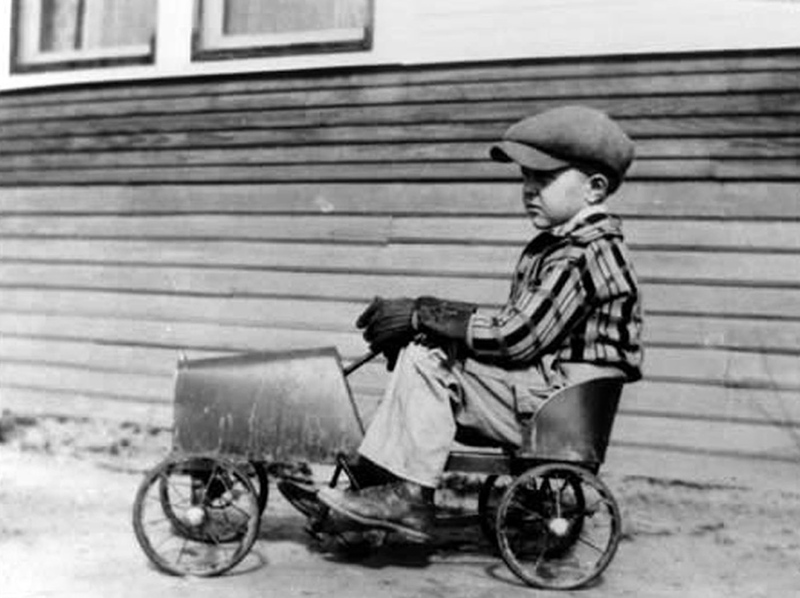 When he was a fifth grader, his teacher admonished him for drawing pictures of Eddie Rickenbacker’s Spad in the margins of his math lessons. Luckily, he had understanding parents. “He could be into worse things!” they responded. The drawings, as well as the response, were probably prompted by the fact that his father was a B-25 pilot in WWII, and his mother was artistic. After his discharge from the Air Corps and later graduation from NYU as a collegiate fencing champion, the elder Kaplan became head fencing coach and later a professor Ohio State University. 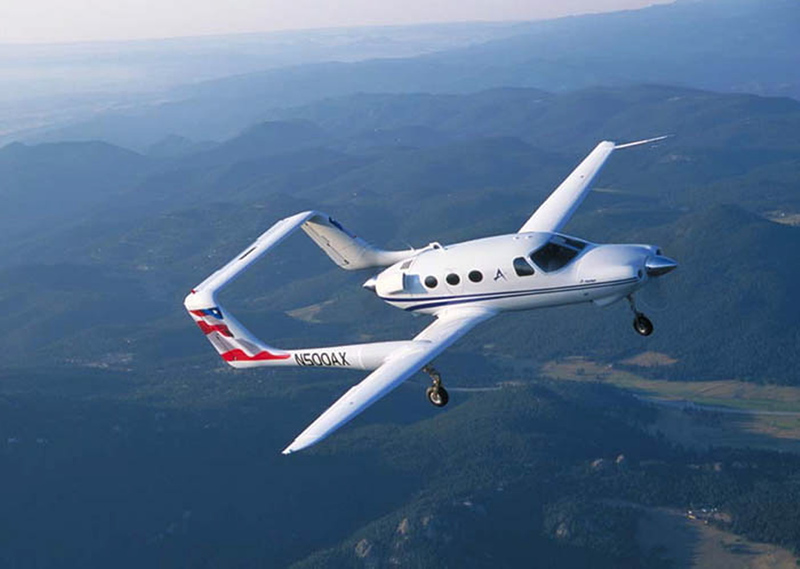 The college used a Beech Baron to transport professors to its various branch campuses throughout the state. That spawned Kaplan’s interest in aviation. 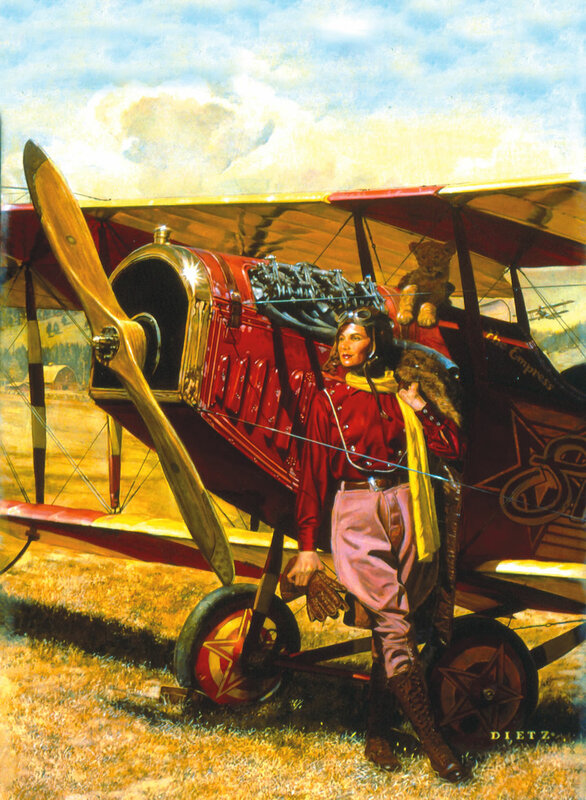 Growing up, aviation became the focus of the budding artist’s creativity. “I knew early on that some creative endeavor would be my career path,” he said. When Kaplan enrolled at Ohio University in 1976, he started out in communications, but switched to graphic design as a major. In 1982, with funding provided by some local businessmen, Kaplan founded Kaplan Graphics in Columbus. 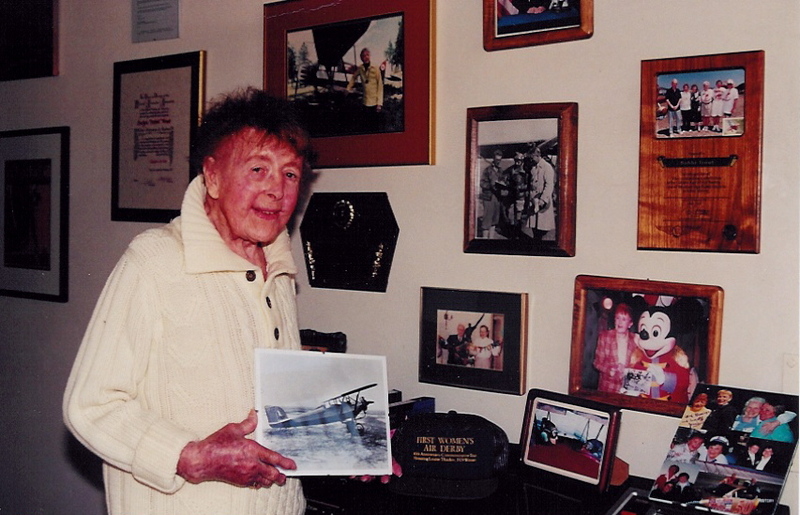 During that time, he remained somewhat involved in aviation by printing t-shirts for events like the Rickenbacker Air Show and a Doolittle Raiders reunion in Columbus, as well as doing some military work, such as t-shirts for an Air Guard unit. The company’s major focus, however, was creating t-shirts for corporate use and a line of t-shirts sold through retailers around the country. The company’s flagship line, which he started in college, and for which he still retains the trademark rights, was Surf Ohio. 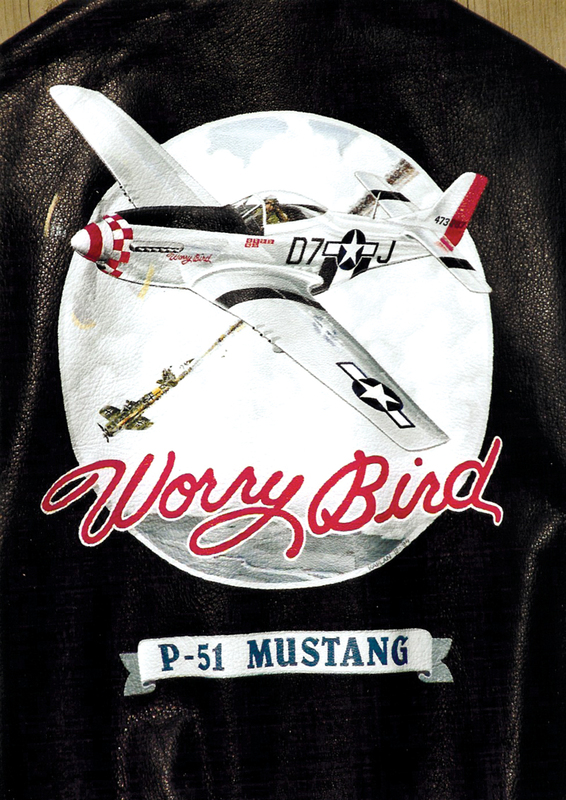 During the Gulf War, Kaplan created a series of t-shirts featuring aircraft from different branches of service. “Different retailers donated the proceeds to different causes, such as the Red Cross or the USO,” he said. In the early 1990s, his artistic talent blossomed into painting again, as a hobby. Kaplan knew he was going to have to find some subject matter to motivate him, after a full day of work. While looking through his aviation books for some inspiration, he came across nose art. “There were pictures of Vargas pin-ups painted jackets that a lot of the 8th Air Force bomber crews wore,” he said. Kaplan realized that was what he wanted to do. He began by painting a Vargas pin-up on the back of a leather jacket hanging in his closet. He was soon attending air shows, and painting jackets for air show performers. Max Marion, who owned a BT-13, invited Kaplan to take pictures while he did practice flying with Bob Beckman, a T-6 owner. On a summer afternoon, Kaplan experienced his first ride in a warbird, and a taste of air-to-air photography, while in the back seat of the T-6. In 1994, Kaplan sold his partner his share of the company. At that point, he headed down another creative airway, as an aviation journalist. In addition to his graphic design course load at Ohio University, he took communications journalism courses. As he had done in the sportswear business, he used that to his advantage in the aviation community. Kaplan wrote freelance for different publications, and continued his artwork and marketing at air shows. 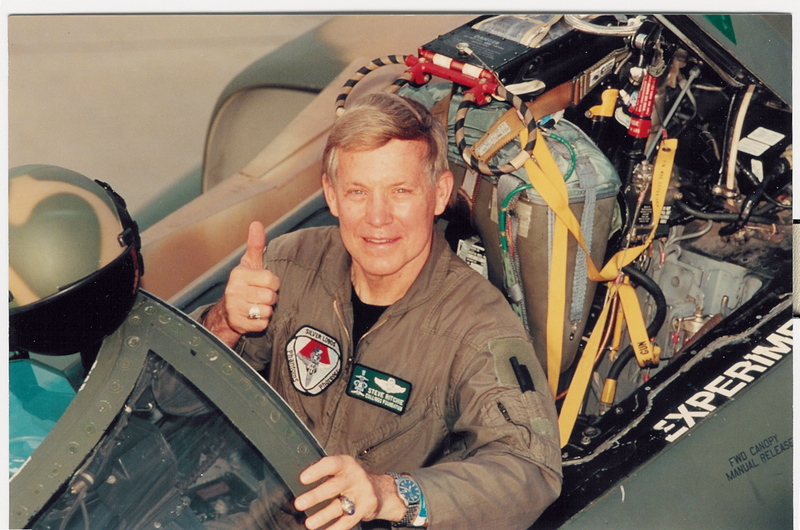 He also began working as the air show photographer for Vintage Fighters owner Charles Osborn Jr. Eventually Kaplan won awards in such prestigious magazines as Aviation Week & Space Technology. He continued to promote air shows through his jacket paintings, and in the process, was invited to help Lt. Col. Dave McFarland (ret.) run the Gathering of Eagles program, which was part of graduation week events at Maxwell Air Force Base. Ron Kaplan is a member of the U.S. Air Force Art Program, with one of his painted jackets on permanent display in the Pentagon. 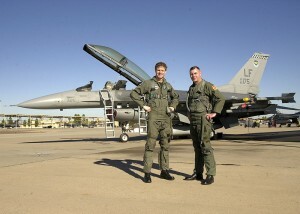 As part of that program, he had the privilege of flying with the 308th Fighter Squadron based at Luke AFB, Arizona. Kaplan had been doing the artwork and working with some of those fighter aces to get autographs on his artwork. “My focus expanded, personally and professionally, from the airplanes and the artwork, to the personalities behind it,” he explained. That started opening doors for him. By then, Kaplan had begun working with the Aviation Safety Institute on the concept of producing an air show that would help the nonprofit group raise money in a mission-relevant way. 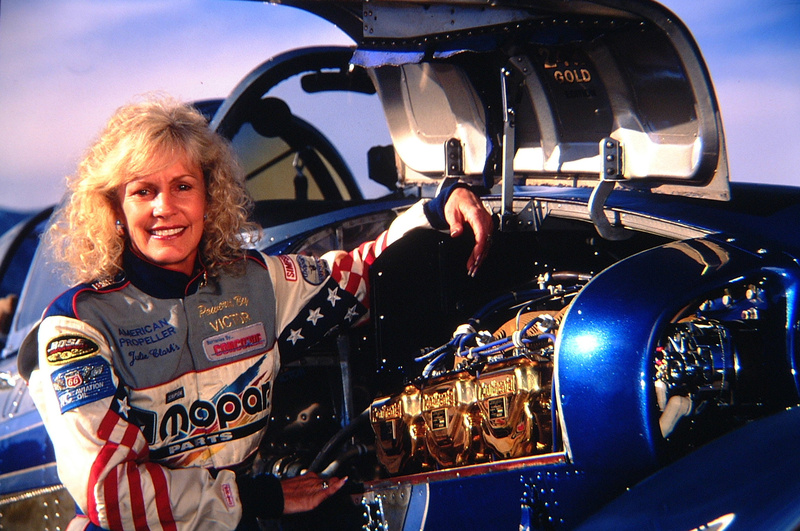 Through an introduction at the 1994 Dayton Air Show, which was supposed to be to find Kaplan help with his jacket business, he met Jennifer Janssens, the niece of Leo Janssens, test pilot and head of ASI. Kaplan was instantly smitten by Jennifer, who was a mechanical engineer, artist and had soloed under Leo’s tutelage, and the two married the following year. In the early 1990s, Kaplan had approached Mike Jackson, the National Aviation Hall of Fame’s executive director, about supplying t-shirts to the 30-year-old organization. Jackson, who had been hired in 1991 to oversee the organization’s growth and fundraising toward a permanent facility, told Kaplan to come back after they had a facility—and a gift shop—and that he should keep in touch. 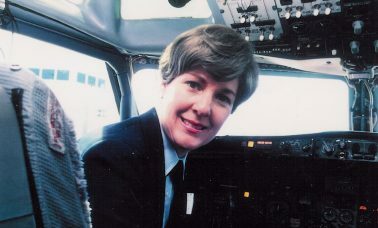 They remained in touch, and in 1996, as a contributing editor to Flight Journal Magazine, the new Dayton resident covered the National Aviation Hall of Fame’s annual enshrinement ceremony. He again covered the event in 1997 and 1998, and mentioned to Jackson he would like to work for the NAHF, even if it meant donning a suit and tie. Shortly after that, Jackson was in need of a new development director, whose job would be to oversee fundraising. 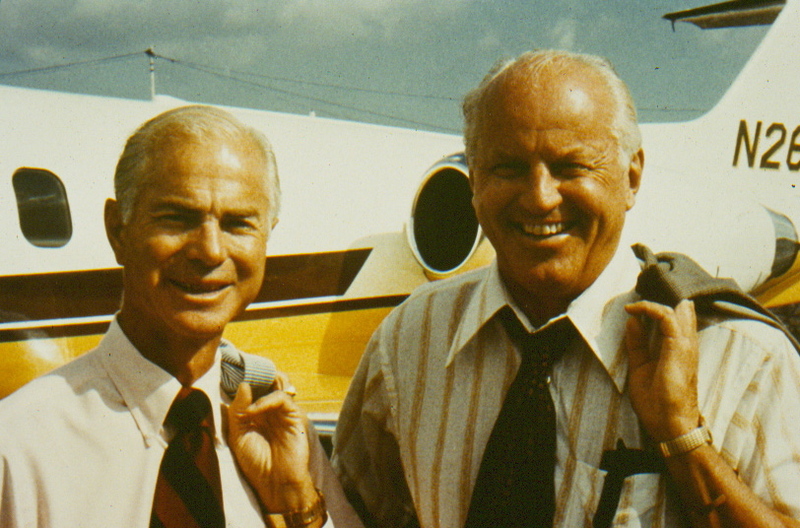 Although Kaplan had no experience as a development director, he was someone with a passion for aviation, knowledge, and connections. Jackson decided to train him, and Kaplan stepped into his new role in September 1998. “I couldn’t think of another job that was more attractive or that I felt suited me more,” he said. “It just was a perfect fit. I already knew many of the enshrinees personally, and I had knowledge of many of the deceased enshrinees.” An added pleasure was learning about the enshrinees he didn’t know as much about. With the rapid growth of the NAHF that followed, Kaplan’s role evolved. Although his focus was fundraising, his tasks included marketing and public relations for external events such as EAA AirVenture Oshkosh and the Reno National Championship Air Races and Air Show. Once it came time to organize his first enshrinement ceremony in 1999, he realized how lucky he was to have attended three such events before. The annual event is actually a series of events, public and private, occurring over a three-day period and leading up to a black-tie gala. “I was really pitching in and trying to learn everything I could from the talented people that had been putting them on,” he said of his participation in that event. Fortunately, in his graphic design career and with his retail lines, Kaplan did many promotional events of his own, so he had some planning, promotion and sponsorship skills experience. He laughs and says, however, they weren’t black-tie formal dinners. “They were outdoor rock concerts at a wave park, or on a lake,” he said. After the 1999 enshrinement, he began talking to the staff and board about enhancing those events. Prior to 2000, the ceremonies had featured a slide show covering the lives of the enshrinees. That year, Kaplan found a local company that did broadcast quality award productions to produce mini-documentaries to show to the audience prior to a person’s induction. “That year, we had five cameras including one on a boom, with high definition coverage,” he said. He explained that the documentaries become part of the NAHF’s archives. “If someone would ever want to repackage them for broadcast, they’re now broadcast quality,” he said. Through his aviation art connections, Kaplan also secretly brought in baseball legend and Marine aviator Ted Williams. His appearance was staged to surprise everyone but specifically the ceremony emcee—former enshrinee, Marine ace, and longtime Williams pal, Joe Foss. The year 2003 was a big one for the NAHF, beginning in January with the opening to the public of the organization’s 14,000-square-foot facility, learning and research center and exhibits. The NAHF’s mission focus shifted from being a one-event-a-year operation (followed by administering the archives) to being open year-round with over a million visitors coming through annually. 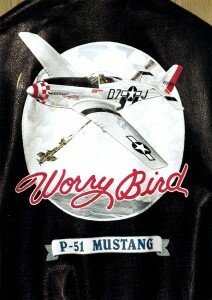 Ron Kaplan’s art clients include many warbird aficionados, including Mike George of Springfield, Ill., owner and pilot of “Worry Bird,” who commissioned him to create this flight jacket featuring a restored P-51 from his aircraft collection. That year, the NAHF would also be one of the focal points during the Centennial of Flight celebration. Because of that, Kaplan said they knew the enshrinement ceremony would have to be really special. “That’s how it became the ‘Pioneers of Flight Homecoming,'” said Kaplan. That gave Kaplan the opportunity to further the concept of more aggressively soliciting industry sponsorships to fund the ceremonies. Before undertaking that for the NAHF in 2000, ticket sales had largely paid for the events. At that same time, the NAHF was completing its $5.2 million capitol campaign. “We needed to be careful that we weren’t robbing Peter to pay Paul,” Kaplan said. But implementing Wick’s suggestion was a monumental task. One of Kaplan’s objectives was to make sure they had a high-profile master of ceremonies for the 2003 celebration. He thought Harrison Ford would be perfect for the role. He was soon on the phone with an acquaintance in the industry that had worked with Ford on “Six Days Seven Nights,” asking if he could help him get an invitation to Ford. That person in turn put Kaplan in touch with one of Ford’s flight instructors. Eventually, Ford said he’d be happy to do whatever he could to make that year’s ceremony memorable. Although it seemed like it would be hard to top 2003’s event, 2004 was also very memorable. 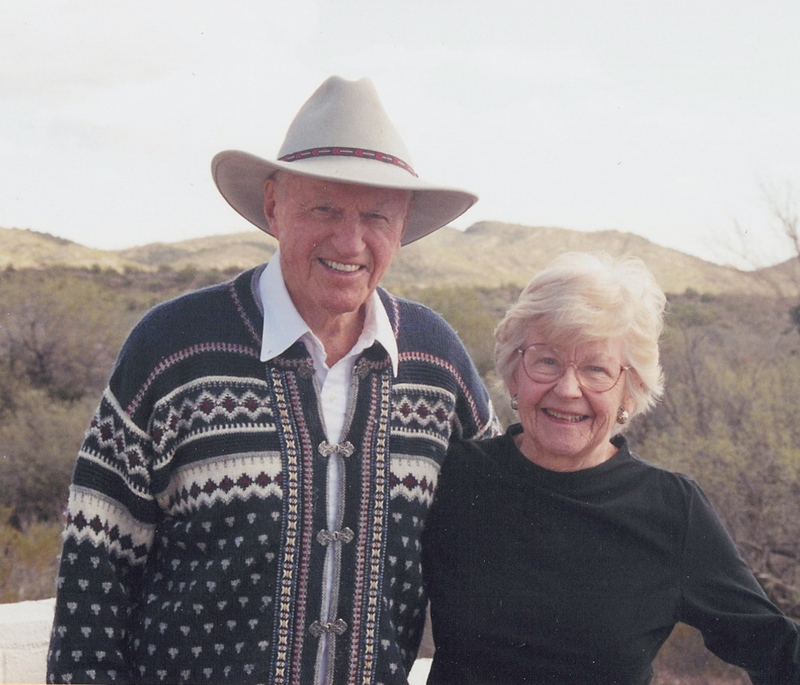 The enshrinees were William A. Anders, the late Harriet Quimby, the late Jack L. Ridley and Patty Wagstaff. Dennis Quaid served as master of ceremonies. Again, Kaplan’s connections helped in recruiting the pilot and actor. This time, he turned to Rob Stone, the owner of Los Angeles-based Vienna Productions, for help. Previously, he had watched a Blue Angels documentary produced by Stone, which Quaid hosted. Stone was happy to help. He added that each time he’s worked with Kaplan, he feels inspired. “You can’t help but catch his enthusiasm,” he said. Mike Jackson retired at the end of 2004, leaving the role of director open. At the time, the board of directors named Kaplan interim director, but announced that they would also have to accept applications for the role and that all applicants would be reviewed equally. Kaplan believes he’s the right person for the job. He said he’s eager to move the NAHF into the second century of flight and that he believes there’s incredible potential to be unlocked. He said the potential for the organization’s future, including its growth, is unlimited. Many other people also believe he’s the right person to move the NAHF forward. Upon the recommendation of the Memphis Belle Memorial Association, owner and pilot David Tallichet commissioned Ron Kaplan to paint the nose art on his B-17 shortly after it received a new overall paint job in 1999. Besides continuing in the area of fundraising, Kaplan has expanded the organization’s efforts at branding and merchandising, to generate additional revenue sources for the NAHF, as well as memberships. 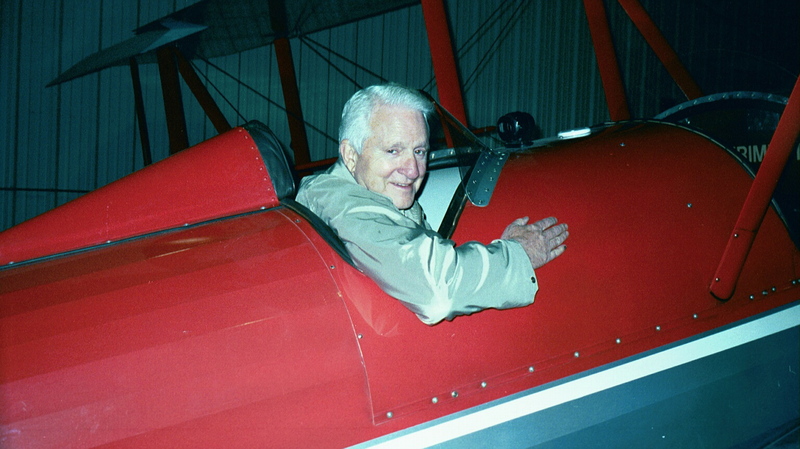 Kaplan said that when he goes around the country, and talks to people in aviation, they often don’t realize there is a National Aviation Hall of Fame. That’s why he constantly endeavors to promote the organization’s existence. “Obviously, it’s tough to raise money for an organization that people have never heard of,” he said. Because of that, Kaplan says branding is very important, but subset to that, one of his tasks is to leverage the NAHF’s assets, such as the annual ceremony. “We have some great partnerships right now, on the marketing side with Mattel and A&E Networks, and with what you might call affiliate organizations like NBAA, and the Air & Space Museum, and with sponsors like Rolls Royce, for instance,” he said. Branding also fits in with Kaplan’s help on various documentaries, including one directed by Isaac Mizrahi that will accompany “The Aviator” on DVD. Mizrahi is also the producer of “Chasing the Sun,” a great four-part series that aired in 2003, on PBS, with the focus on commercial aviation history. Kaplan was able to put Mizrahi in touch with various people who knew Howard Hughes or his associates, and some other museums that could help him in his research as well. “I sent him some of the holdings we had related to Hughes’ enshrinement, and then pointed out that if he wanted to interview some enshrinees with regards to Hughes, we could facilitate that,” Kaplan said. Mizrahi said Kaplan was very helpful. Kaplan said he’s excited because the documentary will promote the Hall of Fame. “You can imagine that’s going to be a pretty good selling DVD,” he said. Joe Suarez, a longtime colleague of Kaplan’s and the former director of the National Air and Space Society, National Air & Space Museum, Smithsonian Institute, said that people are eager to lend a hand partly because of Kaplan’s passion for flight and history. One area where Kaplan is particularly passionate is that of education. It’s no wonder, since he’s in the process of raising four boys: twins Alex and Zach, now 17, 4-year-old Maxwell and 2-year-old Mitchell. At the NAHF Learning and Research Center, Kaplan said they have the accumulated knowledge and assets of the previous 44 years of their existence, as well as a lot of new programs that are in development. “It’s exciting to oversee the development of our youth education program,” he said. Mitch Carley is a big part of that development. When he was a teenager, Carley saw an ad in Rolling Stone featuring one of Kaplan’s “Surf Ohio” t-shirt creations, and had his mom write out a check. The two later met again and discovered they were both vintage aviation fans. 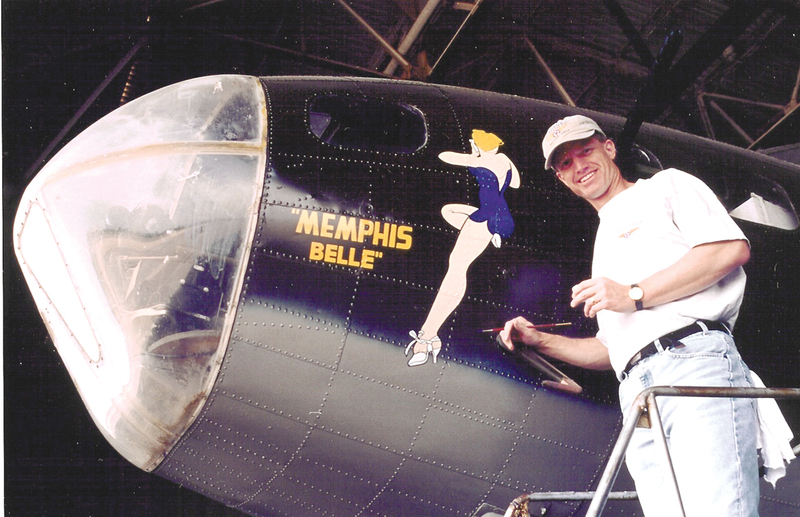 It was recently announced that a “real live” DC-3 named “Duggy” will be making its first public appearance during the April 2005 EAA Sun ‘n Fun air show in Lakeland, Fla.
S. Clayton Moore and Deb Smith contributed to this article.